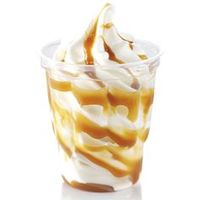 Simple Vanilla Swirl Ice cream with a Caramel topping, nothing fancy but very yummy. I was aiming for the Caramel Ice Cream from KFC it has fudge bits at the bottom and when you bite into them you get this yummy Butterscotch Caramel and Toffee taste mixed with the Vanilla Ice Cream, mixing TFA Vanilla Swirl, FA Caramel and TFA VBIC gave me the Butterscotch note i was after, i used FA Caramel for the soft cracked sauce and it worked great. This recipe is the property of WOODSY and released under the CC Attribution-NonCommercial-NoDerivatives 4.0 license. You may not copy, derive or commercialize this recipe without following the terms of this license or the explicit permission of the creator. I can't stop vaping this. Excellent vanilla with caramel hanging on after the exhale. Definitely a shake and vape. Im not disciplined enough to let this steep! Freaking amazing, at only a 3 day steep, had to make another bottle to let it steep longer because I am going to blow through this. Tastes dead on thanks ! I love how dark the caramel and vanilla in this end up tasting. I love this exactly as it is, but if you want it to taste more like what's shown in the pic then CAP VBIC is probably the ticket. This is a very good recipe I would drop the tfa. Sweeter for maybe cap.super sweet 0.25% and drop the marshmallow I didn't even let this steep it was good off the shake so it came to work with me!